Araya Afrika is a real voice representation of African culture, currently with SwagCity Entertainment. 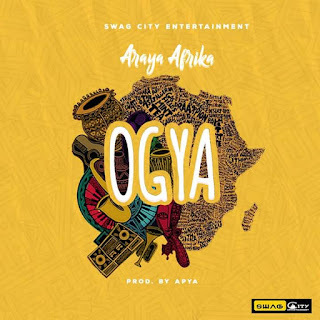 Returning from along term break , Araya Afrika set’s to release a new Single titled “ OGYA “which literally means FIRE in “ Akan” A Language by the people of Ghana. The Cover art speaks high values of our Ghanaian Culture with a touch of Gold. “Ogya” basically talks about Africa , the culture ,the art , the people , their energy and its leadership. The content of the song , holds a chant of African people, expressing the will power and the spirit of perseverance. “OGYA” will be released on Friday 5th April 2019 ,at 5pm.